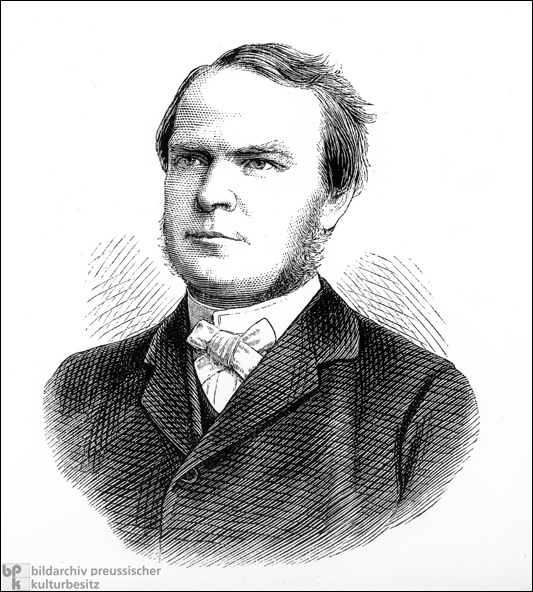 Adolf Stöcker (1835-1909) was a court preacher and the leader of the antisemitic Christian Social Party. This woodcut shows him in 1880. Some contemporaries referred to Stöcker as Germany’s “second Luther.” Others referred to his prodigious talent as a speaker and his ability to rally the masses. Many even took his official designation in retirement [Hofprediger a.D. = außer Dienst] to mean that he spoke for all Germans [aller Deutschen].